The term “organization” in Anchor Link refers to a group or site within the system. 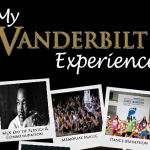 Organizations include all registered student organizations, residential areas, Commons Houses, living learning communities, Dean of Students offices and programs, and a variety of other university departments, programs, and resources. All student organizations must complete the annual registration process through Anchor Link in order to become official registered student organizations (RSOs). During the registration process, organizations must update their organization’s contact information, officers, and membership roster. Organizations must upload a copy of their constitution and bylaws as well as a signed Officer and Adviser Affirmation form. 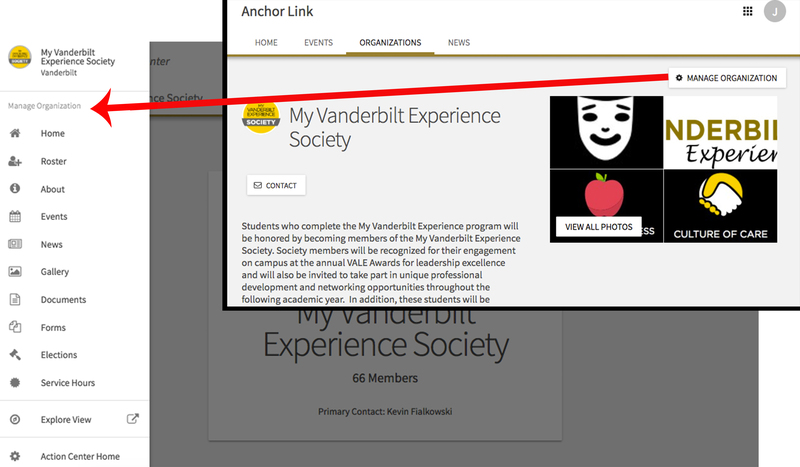 Any university departments or programs that would like to have an organization created should email anchorlink@vanderbilt.edu to request a group. 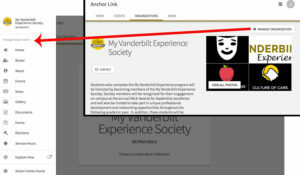 Creating a group in Anchor Link will allow departments to advertise events, track attendance, publicize programs, and communicate with students. Getting to know Anchor Link and its features will help your organization be more effective in achieving its goals. Check out the resources below to learn how to use the various features of Anchor Link to manage your student organization or program. Organization officers have the ability to customize the appearance of their organization’s site including profile photo and header. Follow the instructions below for the various customization functions. Find out what your members think through Elections & Polls. Whether it’s choosing new leadership or a new t-shirt design, learn how to fully utilize this tool. Each bullet-pointed item is outlined in the Step-by-Step Guide. Click the links to explore blog posts. You can manage your organizations accounts and view transactions in Finance feature. This is important so that you are aware of what you are spending your funds on and if you are keeping to your budget. Anchor Link is your source for events on campus. Use these resources to register and promote your organization’s events. Each bullet-pointed item is outlined in the Step-by-Step Guide. Click the links to explore blog posts. Manage organization applications, sign-ups and more with the forms tool. Each bullet-pointed item is outlined in the Step-by-Step Guide. Click the links to explore blog posts. Keep track of important organization files and documents with this tool. Learn more from these blog posts. 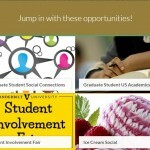 Spread the word about your organizations with the news feature. Click the links to explore helpful blog posts. Learn how to Register your Student Organization. Read through the AcFee Anchor Link Requirements.